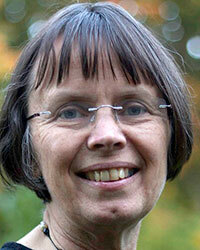 Sandy Oliver is Professor of Public Policy at UCL Institute of Education. For thirty years her interests have focused on the interaction between researchers and people making decisions in their professional and personal lives, largely through the conduct of systematic reviews. She is a member of the Board of the Campbell Collaboration and Cochrane editor with their Consumers and Communication Review Group. She works with the UK Department for International Development to build capacity in systematic reviewing in developing countries.